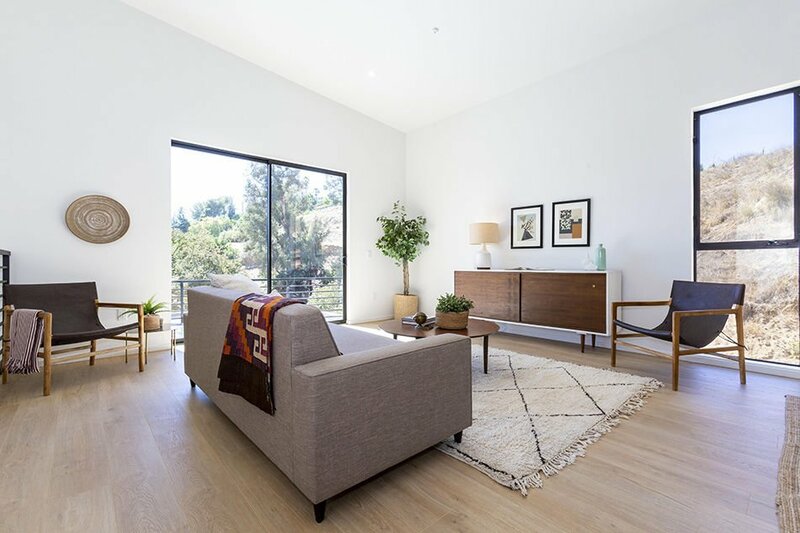 Quiet modernism with a warm Scandinavian vibe in the hills of Highland Park. Feel the stress of the day melt away as you turn up the semi-private drive and into a spacious two-car garage with direct access to the entry level – including dedicated laundry room and a formal foyer. The first floor beckons you to relax with a generous den/family room and an incredible master suite with walk-in closet and serene master bath. Light-drenched top floor boasts two additional bedrooms, a 2nd bath and a great room that’s made for entertaining. Vaulted ceilings and architectural metal windows frame the territorial and downtown views from the kitchen, dining, and living areas. Exceptional indoor/outdoor access to the front deck from the living area and out to the expansive grassy backyard from the kitchen as well as one of the bedrooms. 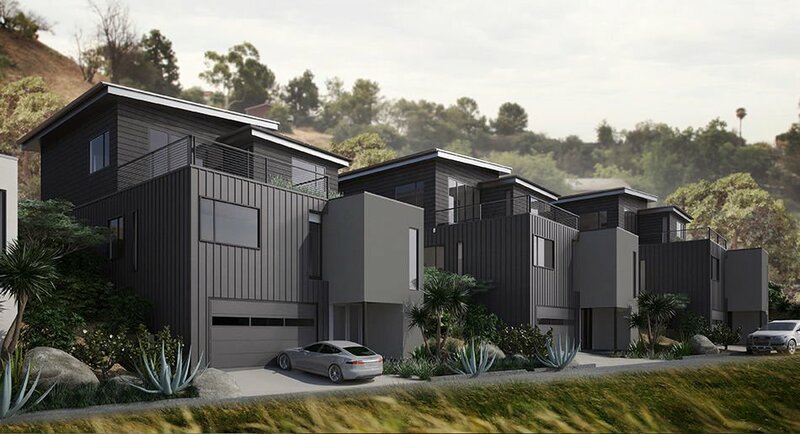 The peaceful setting will almost have you believe you’re miles away – while conveniently located in one of LA’s hottest neighborhoods near the Figueroa corridor and York featuring hip eateries Hippo, Town Pizza, HP Bowl, HomeState, Fusion Burger, Maximiliano + many more. Welcome home to Eaton Park! Charming California bungalow with certified Wildlife Habitat, a true escape from the hustle of the city. Situated in a quiet pocket of Glassell Park, this late 1940’s home is designed with efficiency and function in mind. The light filled living/dining room features an exposed wood beam ceiling and large picture window. The adjoining kitchen has been updated and opened up to create a seamless flow. A well sized bedroom and bath are accessed from a center hallway. The second bedroom makes for an ideal office with passage to the converted garage, functioning as a large bedroom. Off the kitchen, you’ll find a wide patio with room for outdoor dining, surrounded by native plantings. A magical outdoor garden comes into view as you make your way up the path to a stunning native landscape with fruit trees, wildflowers and a dry riverbed. Three decks step up the hillside to capture views of the hills beyond. Just a half block from the Rec Center & nearby eateries in happening Glassell Park. Adorable shingled cottage on a great street in central Atwater Village. Step up from the sidewalk onto a wide and welcoming front porch perfect for relaxing and waving to your neighbors as they pass by. Enter into the bright, cheery living room and through the archway to a dining room and adjacent area perfect for an office and/or reading nook. On both sides of this room are sliding doors – one to access a small patio and the other opens to the side yard with direct access to the garage. Rounding out the floor plan is a charming original kitchen with stacking laundry, an updated bathroom and the light-filled bedroom with ample closet space. This darling property provides the perfect condo alternative. Found just blocks from Atwater’s best boutiques and eateries on Glendale Blvd.